In almost any given neighborhood in Seoul (and beyond) you’ll find multiple cafes of all different shapes and sizes. The rise of South Korea’s cafe culture is a particularly interesting story and aligns closely with the country’s uncanny ability to have its modern culture become a popular interest to foreigners all across the globe. In South Korea, cafes are much more than a one-stop-shop for a hot or cold beverage. Rather they act as safe havens for students needing a study space, foreigners lacking wifi, and friends seeking refuge from long-stretches of walking or shopping. This article excavates the history of coffee in this country (and its people’s affinity for it) and, in turn, explores different aspects of the rise of South Korea’s cafe culture. Given South Korea’s vast, and ever-growing, consumption of coffee it might be surprising to hear that industry is still relatively young compared to many other countries. According to coffee aficionados, King Gojong was the first person in Korea to have coffee in the late 1890s, served to him by the Russian consort. At the turn of the twentieth century, coffee, a rare commodity, was seen exclusively as a western luxury. While a handful of dabangs (다방, coffee shop) existed in the first half of the 1900s, it was really in the 1950s, after the Korean War, when they became a more common establishment in Seoul. Indeed, during this time dabangs (which can also be understood as the Korean equivalent of a European parlor) became an elite location in which coffee, an expensive import, was served to those with political and monetary capital. In the following decades, the price and availability of coffee fluctuated under different political parties but stabilized in the 80s. The 80s saw the proliferation of cafes, making them more readily available and affordable to middle-class Koreans. In this increasingly competitive market, cafes and coffee houses began to distinguish themselves by adopting specific themes and catering themselves to particular demographics (a marketing strategy that still influences modern cafe culture today), existing as a social space. However, it was also around this time when Korean food companies, such as Dongsuh Foods, packaged and sold instant coffee bringing coffee into the domesticated routine of Korean households. In this way, coffee rapidly became an affordable commodity readily available on a national scale, especially to those who neither lived in cities or near dabangs. Nonetheless, dabangs remained popular amongst Koreans. Indeed, it was in 1999 when Starbucks first penetrated the South Korean market. Starbucks marked a paradigm shift in cafe culture in South Korea as takeaway coffee became popularized and cafes were no longer exclusively a social space, but also existed as study- and work-spaces. After Starbucks, large coffee chains were increasingly established by Korean entrepreneurs, such as Caffe Bene, Ediya, and Angel-In-Us. As of 2016, South Korea’s per capita consumption was 2.3 kg per person according to the International Coffee Organization, one of the highest amongst Asian countries. Even with cafes and coffee in abundance, the rise of South Korea’s cafe culture was not inevitable. It was the combination of social media and the carefully-curated atmosphere of individual cafes that allowed for South Korea’s cafe culture to quickly become an international sensation. Indeed, cafes are no exception to South Korea’s obsession with aesthetic beauty and pleasure. 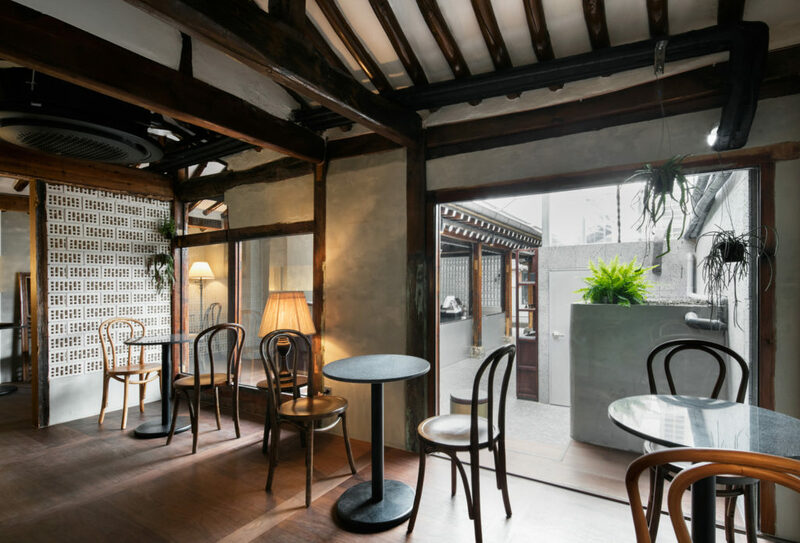 Cafes, regardless of their size, often meet a certain aesthetic standard (even if the cafe is a literal hole in the wall, the wall will be expertly groomed for photo-taking). 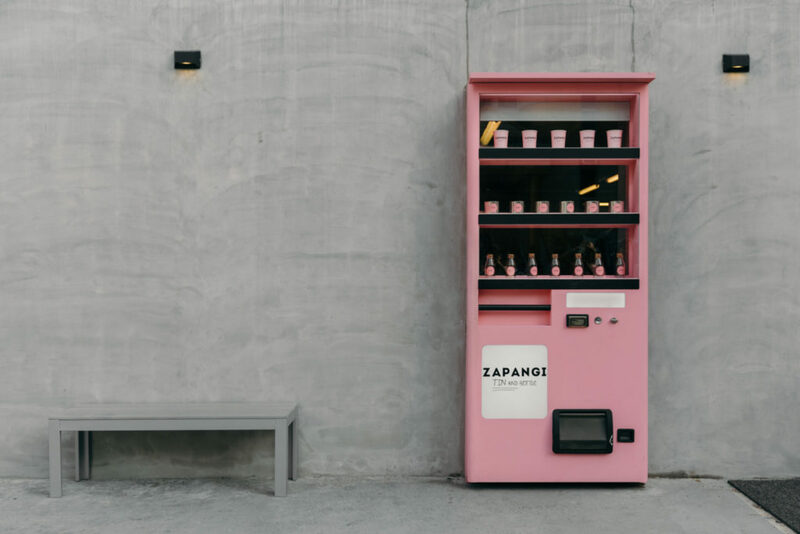 The importance of aesthetics is perhaps best illustrated by the cafe, Zapangi, that was popularized a couple of years ago because of the pink vending machine that served in lieu of a door. Albeit, aesthetics are often prioritized before of the flavor profile of coffee and customers are often expected to pay an expensive price-tag to enjoy the ambiance. That being said, the coffee industry continues to welcome newcomers who have begun to focus more intently on roasting their own beans or reintroducing the artistry to brewing coffee. Amongst South Korea’s other cultural exports, such as K-pop or K-dramas, cafe culture can shrink in comparison. However, it symbolizes modernity in South Korea and the continued gentrification that the country sees. Even aspects of the traditional dabangs are reflected in South Korea’s modern cafe culture. Traditional hanoks (한옥) have been preserved and restored to serve as either teahouses or coffee shops, allowing for foreigners and Koreans alike to experience a physical space in which history and modernity meet. 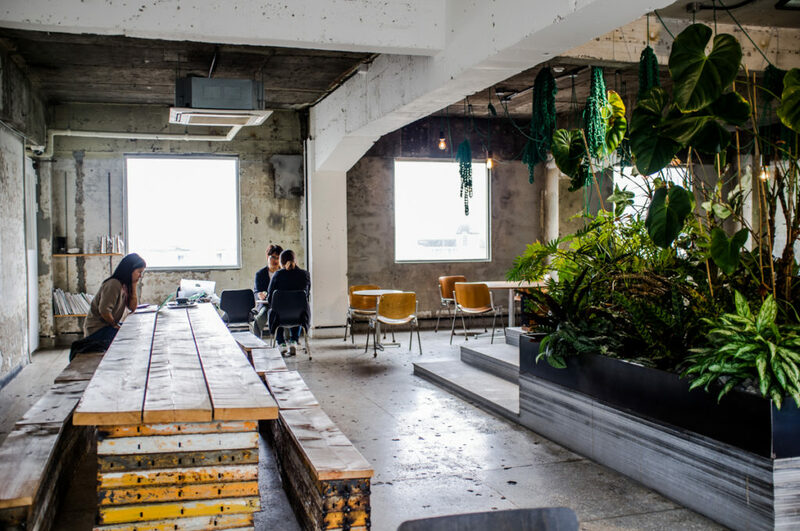 On that note, the next article will focus on the different cafes that can be found in Seoul and will provide a whittled down list of Seoul’s best cafes and the future of the coffee industry in South Korea.